Large format abstract oil paintings. Eva Mitera paintings principally focused on the theme of landscape, natural and meteorological phenomena, images alternately abstract and figurative with evocations of motif. These atmospheric images resist the simple perception and analysis, both based on the memory of the observation taken from nature and transformed onto canvas. It is vital to Eva to capture the subtle changes of weather and the elemental forces of nature, the dramatic, the cataclysmic factor, the tensions and vibration of landscape. Paintings are untitled or with laconic titles for it should be felt not interpreted. Large format of the oil images plays an important role in creating a desired dramatic sense of nature. Paintings of clouds are an idea of materializing the immaterial, painted from remembrance and impression. Clouds are unrepeatable, unfixed, universal, Heavenly, in eternal movement, visible but intangible, constantly changing in shape, form, pose, argument, unburdened by memory of any kind, encouraging diverse interpretation, generators of imagination, oneiric. 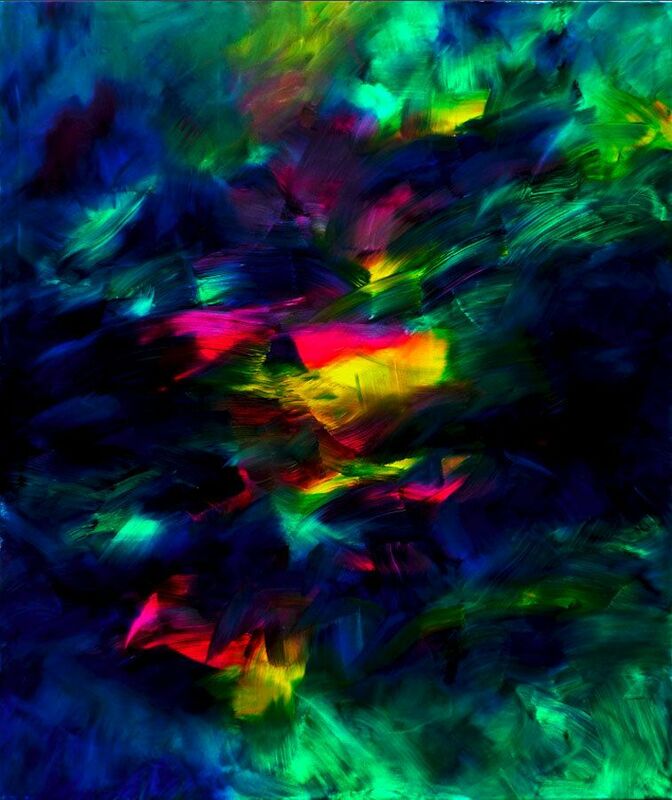 Equally important as the motif is the process of creating, exploring the possibilities of color and light, both in traditional oil technique of the Dutch masters and spontaneous strokes of the brush “alla prima” characterized by an abstract overall structure. Eva Mitera born in 1981 in Warsaw, Poland. Gradate of University of Edinburgh, Scotland with Master of Science in Design and Digital Media under guidance of prof. John Lee. Received her Masters of Fine Arts from European Academy of Fine Arts in Warsaw, at the studio of prof. Mieczysław Wasilewski and Master of Art History from the University of Warsaw under guidance of prof. Maria Poprzęcka. Member of the Association of Polish Artists and Designers (ZPAP), the Association of Art Historians in Poland (SHS) and the Society for the Preservation of Historical Monuments(TOnZ). Shortlisted at the prestigious Austrian painting competition Strabag Art Award 2014. Eva Mitera has exhibited at the Association of Polish Artists and Designers in Warsaw at numerous exhibitions including cyclic from 2011 Contemporaries and Generations as well an exhibition dedicated to the 70th Anniversary of Warsaw Upraise: Peace and Hope. In 2015 will take part in Florence Biennale. Her practice encompasses painting, watercolour, drawing, collage as well as graphic design and digital animation.